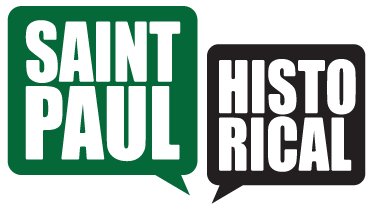 University Avenue was once one of Saint Paul’s “auto row” districts, where people could shop for cars. 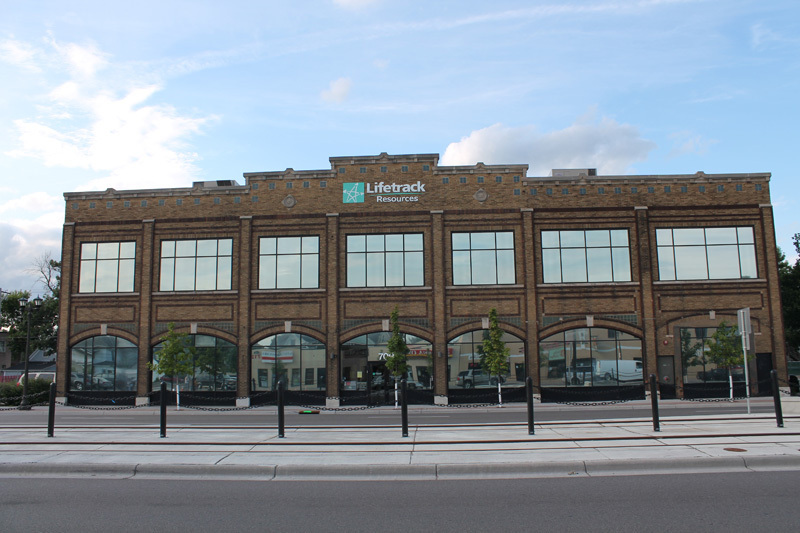 Owens Motor Sales (now Lifetrack Resources) at 709 University Av. (1917, second floor 1922-23) is one of the last vestiges of an auto industry that included more than half a dozen vehicle dealerships. At one point Owens advertised itself as the city’s oldest dealer of Hudson automobiles. The business also sold Fords. This brick building was expanded from one story to two as its uses changed. It also was expanded to the east. Tile work accents its brick exterior. Frogtown had more than a dozen new and used auto dealerships over the years. Only a few used vehicles dealers remain in the community today. 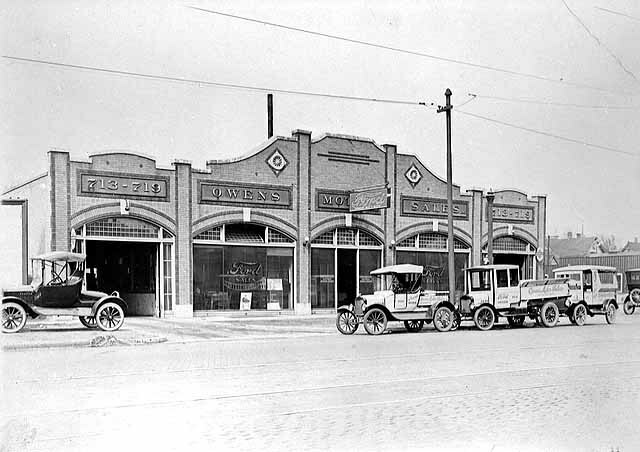 Jane McClure, “Owens Motor Sales,” Saint Paul Historical, accessed April 21, 2019, https://saintpaulhistorical.com/items/show/82.